Let's face it… we are all aging every second. If someone tells you that they can stop that process… this is absolutely impossible. There is no anti-aging magic pill. 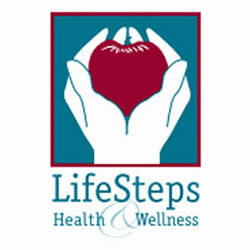 With that being clarified, LifeSteps Health & Wellness Clinic offers Healthy Aging support. Our goal is to guide you to optimal health. We provide the education and support, but you make the commitment and implement the life-style changes needed to achieve the results desired. Our experience confirms that without balance in your life your optimal health will be limited. In today's society we are all too busy and we have difficulty slowing down. Because of that our health is paying a price. Everyday our patients' number one complaint is fatigue. Of course fatigue has many causes: thyroid, adrenal stress, Epstein Barr virus, etc. But those conditions are not a virus floating in the air that people breathe in. Most frequently, the above conditions are brought on by consistently "burning the candle at both ends." At LifeSteps we can help you to understand and identify what is taking place in your body and share with you our experiences with finding balance. LifeSteps Health & Wellness Clinic believes that food is medicine. We will consistently encourage you to shop organically and eat a balanced diet. Our goal is to have you make that change in your life 51% of the time. We believe if you cook for yourself and eat organically grown fruits, vegetables, grains, etc. you will feel so much better that with little effort, you will easily achieve a 70-80% compliance. We wouldn't want you to go over that percentage as this is the real world and there will be holidays, parties, baseball games, and so forth. It is important that you enjoy life, time with friends and families. By adjusting your eating habits most of the time, we believe you will feel better and enjoy the special times even more. The gHP "Youth Formula" is a patented all natural pure crystalline free-form amino acid stack which encourages the pituitary to release its own growth hormone in quantities similar to that of people in their mid-twenties. Last but not least; to age well you must keep moving and you must keep learning. These two suggestions are critical. We have all heard, "Use it.. or lose it." This is a fact that applies to your body and your brain. Exercise can be as simple as walking in your neighborhood park, or if homebound, lifting small weights, walking on a treadmill while watching TV. By the way, watching TV is not exercise for your brain. Our suggestion is that you read, take a class, attend a workshop, and challenge yourself to learn something different.